The Police Financial Crimes Investigations Division (FCID) has singled out 20 ‘high profile’ cases in a bid to fast track its investigations. A senior officer attached to the FCID said concluding the 20 investigations would be the FCID’s top priority in the coming weeks. The officer, however, declined to disclose the 20 cases saying that would hamper the progress of the inquiries. “But, some of those cases received wide publicity in the recent past. They involve prominent politicians of both the ruling coalition and the opposition. The case were selected based on the scale and the seriousness of charges,” he explained.“By November last year, the FCID received over 200 complaints. There were serious constraints, as we did not have sufficient resources and human capital to probe into each and every complaint diligently. As a result, we came under criticism from various quarters. That was why the FCID finally decided to prioritize cases. So, all our strength and resources will be utilize to conclude the 20 cases as soon as possible,” the spokesperson also added. Addressing the media, new IGP Pujith Jayasundara said under his administration the Police FCID would be further strengthened. “It is the will of the people and the Sri Lanka Police should take measures to fulfill that. 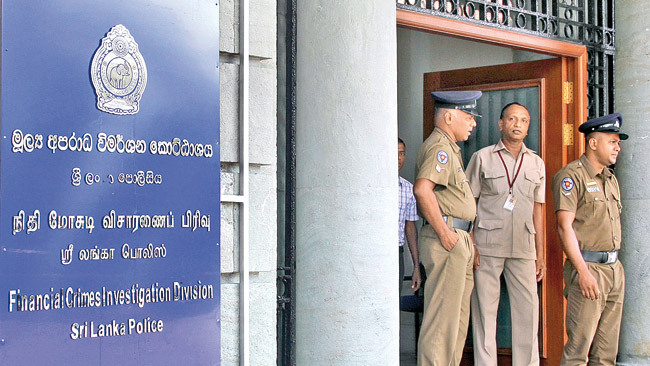 However, no personal or political agendas will be carried out in the guise of inquiries,” Jayasundara said, addressing his first press conference as the IGP at the Police headquarters in Colombo. Meanwhile, the Attorney General’s Department has also taken measures to hire 50 States Counsel to fast track its work, including anti-corruption investigations. The Attorney General’s Department hired 31 States Counsel recently to conclude ongoing cases. However, sources from the department told the Daily News that the department is now conducting interviews to recruit 20 more States Counsel as the government’s legal arm needs more strength to deal with the rising number of cases.